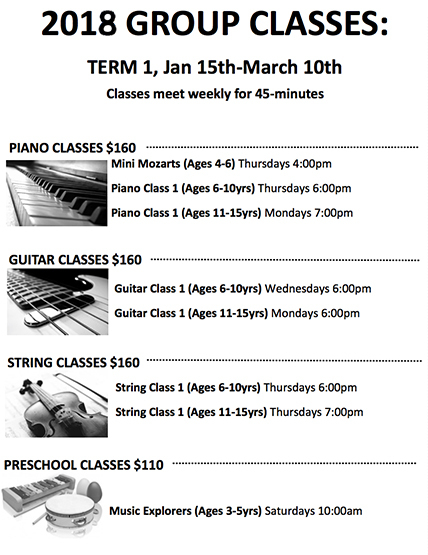 Term 01 (Jan. 15 – Mar. 10) of 2018 is out now. Previous Previous post: 2017 Holiday Hoopla! 5 Stars – I am dedicated to Musical Surprise. The staff knows their music and I know I will have a great experience. Robyn is a first rate Musical Therapist who’s help with our son has been amazing. Thanks you all.